Think youвЂ™ve got what it takes to write a manual for MakeUseOf.com? WeвЂ™re always willing to hear a pitch! Send your ideas to [email protected]; you might earn up to $400. 2.4 How Can Ubuntu Be Free? 1. ItвЂ™s Maintained By The FLOSS Community. What Is The Linux Kernel? How Then Are Ubuntu & Linux Related? Why Should You Use Launchpad Answers? 7.1 How Do I Update My Computer? 7.2 How Do I Download Software & Applications? 7.3 How Do I Manage My Email Accounts? 7.4 How Do I Surf The Web? 7.5 How Do I Listen To Music? 7.6 How Do I Organize My Photos? 7.7 How Do I Watch Videos? 7.8 How Do I Edit Images & Videos? 7.9 How Do I Manage My Social Networking Accounts? 7.10 How Do I Create Documents, Spreadsheets & Presentations? 7.11 How Do I Use Cloud Storage? more than that: it is an ethos, a collaborative project and, first and foremost, Ubuntu is a community of people. If youвЂ™re reading this guide, youвЂ™re probably interested in moving away from proprietary operating systems such as Windows and Mac OS X; perhaps youвЂ™ve already installed Ubuntu on your computer but are not sure where to start. system and believe itвЂ™s too advanced for them. Well, that is simply not true. Ubuntu is easy to install and simple to use. Best of all: itвЂ™s completely FREE! the philosophy and key concepts behind the Ubuntu operating system. that Ubuntu is more than just software. freely accessible to everyone regardless of language, disability, or income. Ubuntu, on the other hand, is NOT proprietary software because it is actively maintained by the FLOSS community. FLOSS is not the thin, waxy filament that you run through teeth, nor is it the pink cotton candy that you buy at state fairs. you can inspect the program and make changes to suit your own needs. of how it uses the copyright system to enforce sharing instead of discouraging it. So, you might be wondering by now how Ubuntu can truly be free. Is there some catch or hidden fee? spread the good word of Ubuntu. CanonicalвЂ™s main offices are in in London, but it also has offices in Canada, the US, and Taiwan. Ubuntu uses the Linux kernel. kernel, on its own, is not an operating system, but rather a set of computer instructions that enable communication between software applications and the data processing done at the hardware level. after Linus Torvalds, the Finnish computer programmer who created it in 1991.
one part of Ubuntu, which is made of many different parts. ItвЂ™s free and open source: shared code, shared efforts, shared principles, no cost. ItвЂ™s easy to use, trial and install: you donвЂ™t have to be an expert. ItвЂ™s stable and fast: usually loads in less than a minute on modern computers. ItвЂ™s up-to-date: Canonical releases new versions of Ubuntu every six months and also brings you regular updates for free. It is supported: you can get all the support and advice you need from the global FLOSS community and Canonical. It is the next big thing. of 2012; the one after that will be 12.10 in October of 2012, and so on. love for fashionable marine mammals, but rather version 11.04 of the Ubuntu operating system. For a complete listing of Ubuntu versions and code names, see the table below. thereafter. These versions are referred to as normal releases. that are released approximately every two years (if on schedule) and are supported for three years thereafter. The upcoming version of Ubuntu, 12.04, will be a Long Term Support release. smoothest on your computer, but requires a full commitment to leave behind your old operating system. reading for an easier method. quality and speed of UbuntuвЂ™s performance. systems, so itвЂ™s simple and safe to use. about the mechanics of partitioning your hard drive, Wubi is a great solution for beginners. If you saved the file, locate the Wubi.exe file and double click it. It should be in your вЂњDownloadsвЂќ folder. Enter your Password twice to verify it, then click вЂњInstallвЂќ. since the downloaded file size is 700MB. When installation is complete, click Finish to reboot your computer. After your computer restarts, select Ubuntu from the Windows Boot Manager menu. Wait for Ubuntu to complete installation. As you wait, click through the slide-show to learn more about Ubuntu. After installation is complete, your computer will automatically reboot. Select Ubuntu from the Windows Boot Manager menu. Wait for Ubuntu to load. At the Ubuntu login screen, enter your password and hit enter. Congratulations and welcome to Ubuntu! use Launchpad to answer your most technical questions. advice, technical support, and a community to join. Joining an Ubuntu Local Community will also provide you with lots of opportunities to get involved and learn new skills. 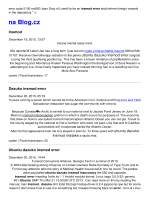 This site is developed and maintained by the Ubuntu Documentation Project. It is fully searchable and provides documentation for current and previous Ubuntu releases. and review, bug tracking, web-based translation, and Launchpad Answers. for beginner users looking to find technical support, Launchpad Answers is a great starting point. people involved in developing Ubuntu can be directly answering your question. The help provided in Launchpad Answers is of high technical quality and is often less contradictory than what youвЂ™ll find on Ubuntu discussion forums. Welcome To Unity! вЂ“ UbuntuвЂ™s Default Desktop Environment. within Unity that you can drag, drop, and click on various icons and menus to interact with the Ubuntu operating system. environment for 13 previous versions of Ubuntu, from 4.10 to 10.10. (but is based on GNOME). The desktop is your main work space and it is here that you can open, run and rearrange multiple programs and applications. the specific applications that can be run and managed through the Launcher. it contains the status and application menus which allow you to control and change settings for your system and programs. The Dash is an interface (see figure below) within Unity that allows you to search for and run any file, folder, or application. To open the Dash, simply click on the Ubuntu button at the top of your Launcher. Launcher reappear, simply hover your mouse over the left-hand side of your screen. To open a folder or start an application from your Launcher, simply click on the Launcher icon. As the application begins to load, the icon will flash and become translucent before returning to its original colour. Once an application has loaded, a small white arrow will appear on the left-hand side of the Launcher icon. Launcher icon, this indicates your active application, or the one you are currently using. program or application from the Dash. menu on the left-hand side and status menu on the right-hand side. The application menu allows you to control the active applicationвЂ™s functionality and modify its settings and preferences. application menu (File, Edit, View, etc.). decision to hide the menus was an aesthetic one so that the panel would have a clean and uncluttered look. menu is not maximized, however, the window buttons will not appear in the panel but in the application window instead. The Messaging indicator is the leftmost indicator in the Panel Status menu. See notifications for all of these services: the envelope turns green whenever a message is waiting for you. The Battery indicator is located to the right of the Messaging indicator. The Network indicator is located to the right of the Battery indicator. The Sound indicator is located to the right of the Network indicator. The Clock indicator is located to the right of the Sound indicator. The Account indicator is located to the right of the Clock indicator. The Session indicator is the right most indicator in the Panel Status menu. and most often making access to all of your favourite things that much faster. or run the program or you can narrow your search using filters. when you open the dash: just start typing to search. shortcut icons in the Dash home. search your entire computer for files, folders, and applications. click on Filter results to narrow your search. take you to the Ubuntu One Music Store. be aware of what is available and what programs should you use. 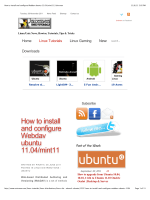 are pre-installed on Ubuntu 11.10 and accessible through the Dash. to download, install, and remove software in a single window without ever having to launch an Internet browser. and contacts in a single window without having to launch an Internet browser. Launcher as well as a shortcut in the Dash. Dash as well the Sound indicator in the Status menu. them and view them on your computer. Software Center to download and install it. Gimp for free in the Ubuntu Software Center. 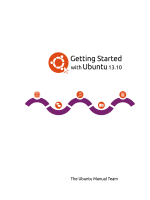 download free-of-charge in the Ubuntu Software Center. Are you passionate about microblogging but have too many accounts to manage? single application across all of your social networking accounts. Gwibber combines Facebook, Twitter and more into one simple user interface. LibreOffice is the default office suite in Ubuntu 11.10.
slide presentations using LibreOffice Impress. Access all three applications through your Launcher. collaborating with friends who donвЂ™t use Ubuntu (yet). Sign up for a free 5 GB account here (https://login.ubuntu. Ubuntu One application through your Launcher. very rewarding in the end because you have become a member of the global Ubuntu community. Welcome! cool websites, free software and internet tips. to hear a pitch! Send your ideas to [email protected]; you might earn up to $400. 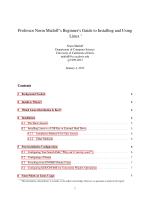 Download Other MakeUseOf PDF Guides!